Soap and glory scents of occasions- I had saw a lot of people talking about these sprays before so when I say this set was half price on boots I thought it was the perfect time to try them. 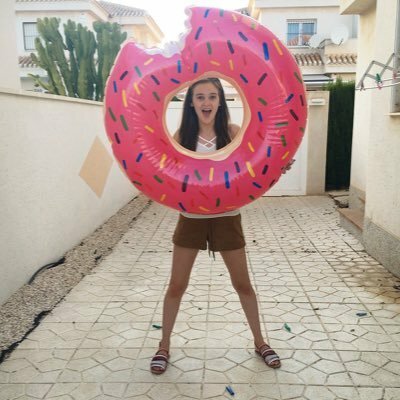 I honestly love the scent of each one, I would say fruitigo and original pink are favourite two so far. Once I've used them for a while I'll be putting up a full review. 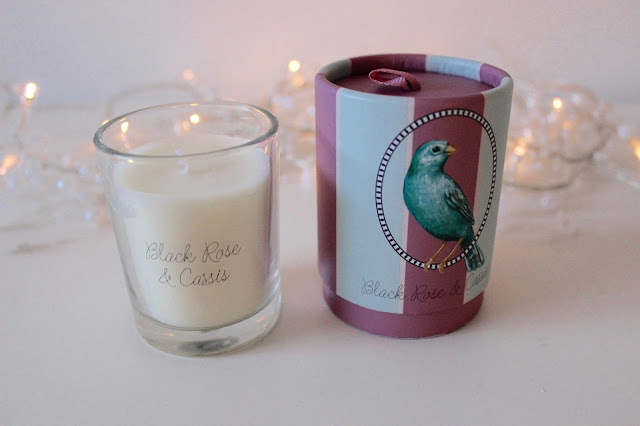 Sanctuary Black Rose and Cassis candle- This candle is soo cute! 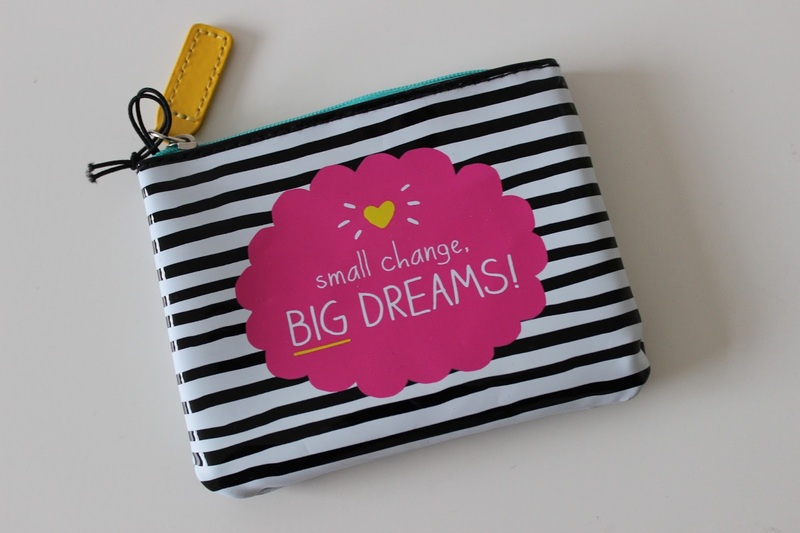 It was also only £3 which is super cheap, it would also make a cute gift. I really like the smell of the candle as it's quite subtle but still strong enough to fill a room. This candle is also available in the signature sanctuary scent. Starbuck flask- Since I did this order before christmas I didn't know that my mum had already bought me the copper Starbuck flask I had been after for ages so I purchased this for £6 which I have now given to Dad. I mean you can never go wrong with a flask right? 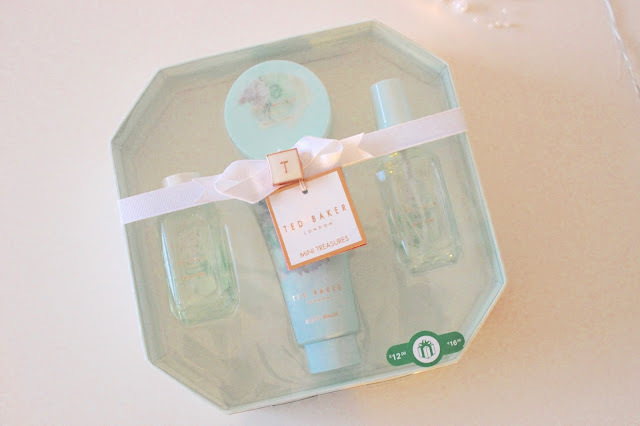 Ted baker mini treasures gift set- I'll be honest the reason I bought this is purely for the mini spray, I love the new packaging and have always been a fan of their sprays. This set comes with the body lotion, shower gel, spray and body wash. All of the products smell very fresh and not to perfumery. Happy Jackson lip balm scrub set- Personally I'm a big happy jackson fan i love their mugs and stationary and noticed it was in boots this year, this set includes a lip balm, tint and scrub which I got for £3 which I think is a bargain! I'm yet to use them yet due to my awful coldsores but i can't wait to try them. Happy Jackson coin purse- With getting the train to uni ever day I ALWAYS have change in my bags, coat pockets and all around my room I'm terrible for it so when I saw this purse was on offer for £3 I thought it would be perfect to keep all my change together, I love the quote on the front to! I didn't pick up as much in the Boots sale as I did last year especially not any makeup items as i figured I had bought enough recently. ( I may or may not have made this order at 4.15 am and woke my sister up) I always enjoy looking at the boots sale, there are still some great bargains left online! I love the Boots sale & accidentally found myself picking up a few extra bits yesterday. Who can say no when they're half price.